I’ve been meaning to (for the past 6 months) introduce you all to my Portland, Maine fam. By “fam”, I refer to all my friends and connections back home. Portland is unique in this way, all it’s year-round residents are very connected, perhaps leaning toward incestuous at times, but mostly, it’s like having a massive network of extended family. Many of us intersect at creative ventures, whether it be playing music, writing, theater, visual art, etc., and most of us do or have worked in the local service industry. I may not be a “Mainer”, but I love these people! One of my favorite, and much missed (because I’m on the road…they still exist :)) Portland haunts is Novare Res Bier Cafe. Novare has been nurturing the Maine beer scene for well over a decade now, and is known for their superior selection of beer from around the world. While the original focus was a bit more Belgian-forward, they have now become the hotspot for a wide array of styles in top craft beers from around our country. 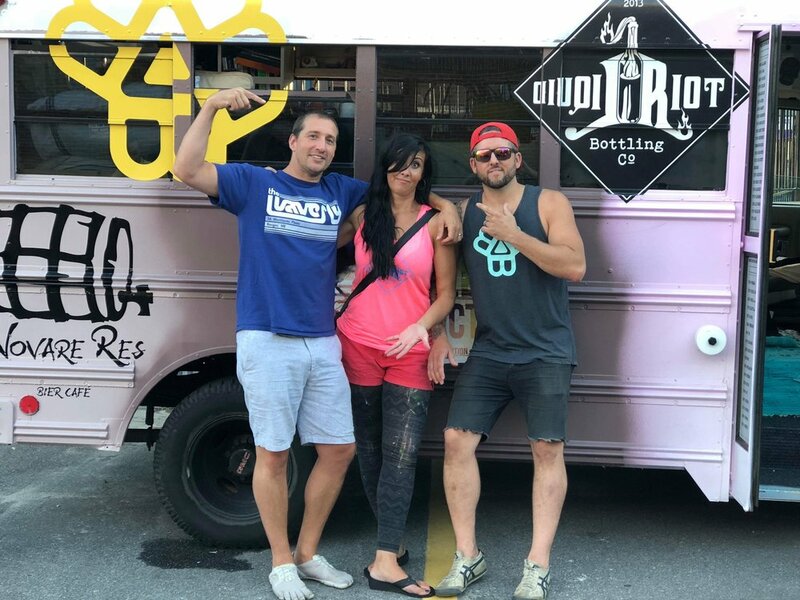 Owner/Founder of Novare, Eric Michaud, brought to the scene a much different concept a few years back, brewery/distillery/restaurant/bar, Liquid Riot Bottling Company. Perched right over the waterfront on Portland’s Commercial Street, Liquid Riot is right in the thick of the cruise shippers and ocean-loving visitors. This place isn’t a “Jack of all trades”…everything they do, they do well. My first introduction to Liquid Riot (formerly named Infinity), was 5 or 6 years back, and has since become a favorite source for some of Maine’s best beer and spirits.